Flow measurement and control of liquids is one of the most important and frequently used measurements of chemicals, water or steam in industrial plants and processes. Flow measurement can be used to ensure product quality and to optimize and improve processes. In some applications accurate flow measurement makes the difference between making a profit or losing money. Many process applications feed the output from a flowmeter into an automated system to control and regulate the flow of liquids. 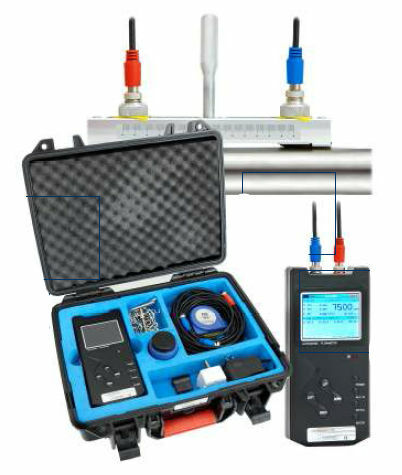 Ultrasonic for open channel flow measurement in flumes or weirs, Electromagnetic (Magflo) for the measurement of conductive liquids or slurries in pipes or non- intrusive time transit flow meters for in pipe measurement. 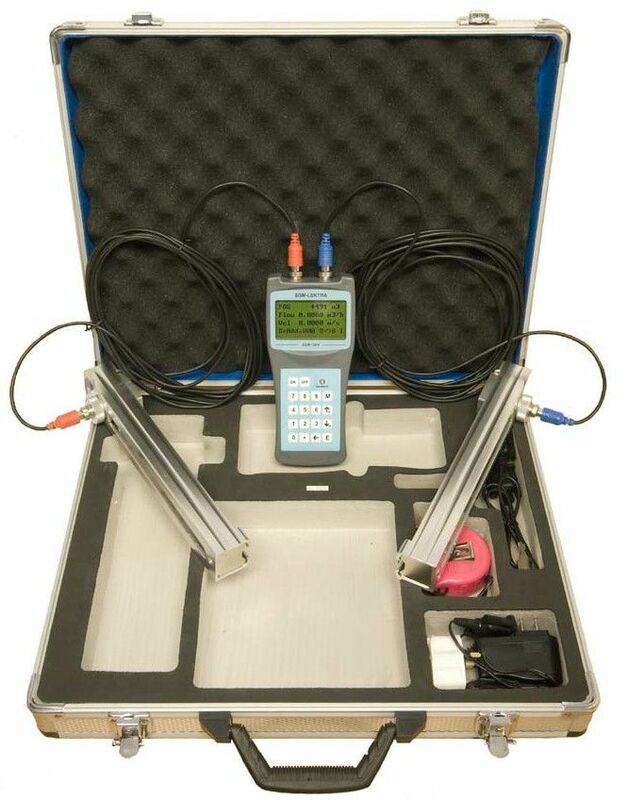 SGM200H - Portable Time Transit Ultrasonic flow meter for use with clamp on transducers, Simultaneous display of flow rate and cumulative volume data. Data logger storage on SDHC Card, 512Mb to 32GB. Suitable for pipe sizes DN20 to DN4000. Battery Life 24 Hours. Transducers have 5 metre cables. Supplied with grease, fixing chains & tie rods.